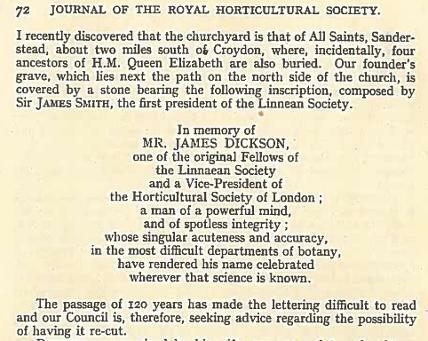 James Dickson, one of the founders of the RHS, and an expert in mosses, is buried in the churchyard at Sanderstead - see photo below. His main residence was at Covent Garden, but he bought a house in Croydon in the 1790s. 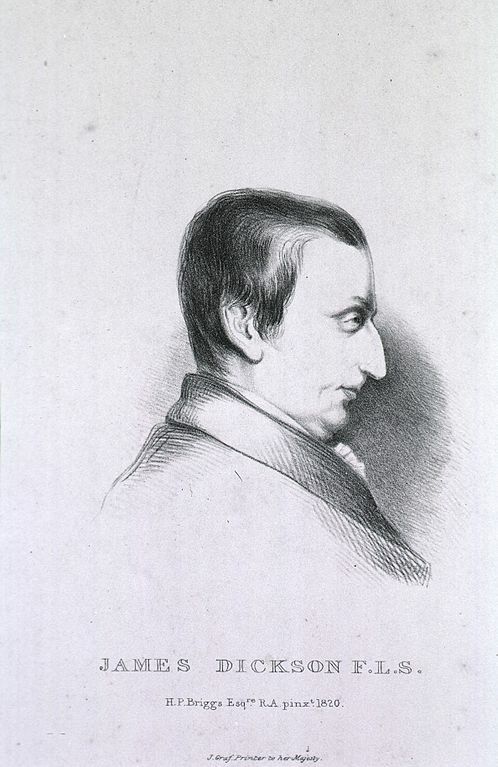 He studied the bryophytes in the locality, including in Selsdon Wood. He chose to be buried at All Saints because of his love of the plants in the area. Many of his papers are held in the libraries of the RHS and Natural History Museum and the Croydon Museum has a leaflet about him written by the RHS. 103 original coloured drawings to illustrate Fasc. 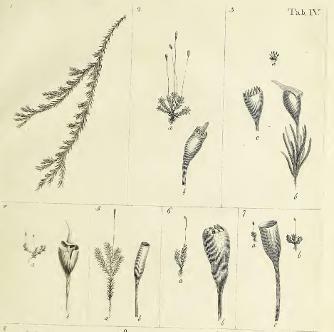 II-IV of J. Dickson's Fasciculus Plantarum Cryptogamicarum Britanniæ]. 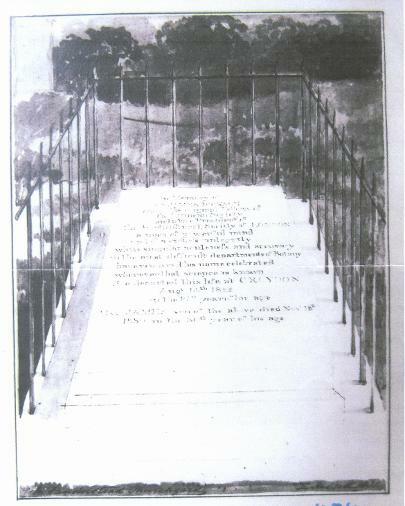 James Sowerby 1757-1822. Dickson, James 1789?-1801? 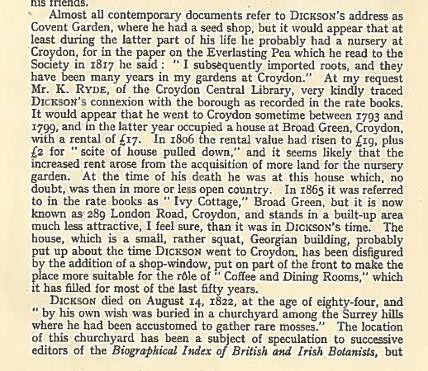 This extract from the RHS booklet tells of James Dickson's Croydon connection.